If you are a local teacher and you are looking for an incredible deal on a new to you used vehicle, you will find that Carson Cars has everything from pricing and selection to award winning customer service and financing options. When you are in need of teacher auto loans in Seattle, we are happy to work with you through our in-house financing department to get you locked into a loan payment that you can afford. 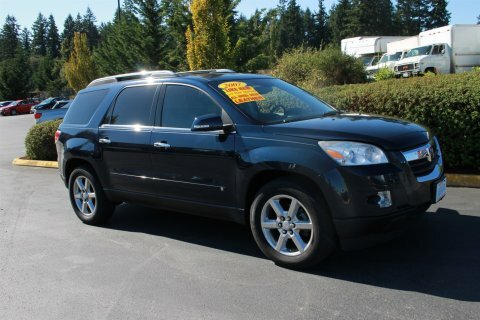 Cars, trucks, minivans and SUVs are all available to you when you shop with us at Carson Cars. We are a family run business that has been making customers happy in Seattle and the surrounding area for well over 40 years now and we have a great track record to show for it. Not only are we confident that we will be able to find you the perfect vehicle to suit your needs and your budget, but we guarantee that we will be able to get you the incredible financing that you can afford. All you have to do is make your way to our dealership so that you can check out some of the vehicles that we have in stock. If you don’t happen to see what you are looking for, our experienced team will work to try to find you the right vehicle and have it delivered to our lot for you. Regardless of your credit history, we will also stop at nothing to make sure that you will be able to get the financing that you need to drive away happy. Call Carson Cars today at (855)583-9356 to learn more about teacher auto loans in Seattle. We look forward to welcoming you as a part of the Carson Cars family.